This is a piece of jewellery i have been working on for some time. I made the pendant a number if months ago. It is made using a stone i picked up on the beach in the South of France many moons ago. 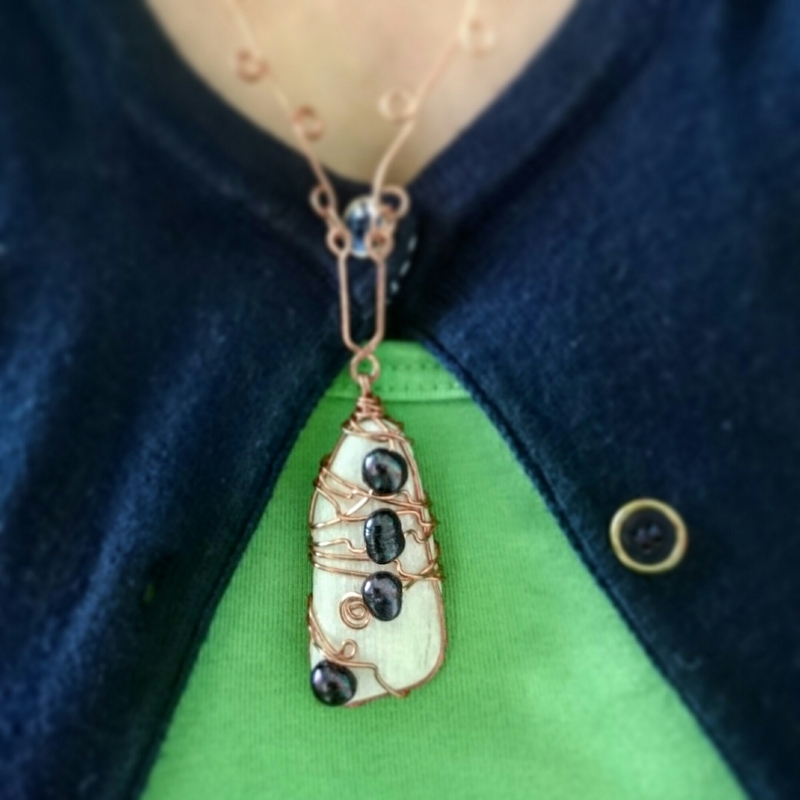 The wrapping is copper wire, and the “beads” are infact black coloured fresh ware pearls. I knew that the pendant would lendvitself to a custom made chain to give it an authentic look. Making the chain was the slightly longer process. I knew it needed a less polished look than a chain with round links. So I discovered that in fact a multiple looped chain link suited it much better. Sometimes we have a central piece and then the rest shapes itself accordingly. Unrevelling the story is what inspired this piece. It will be available to be bought soon. A jewellery piece is a whole story not just a look.